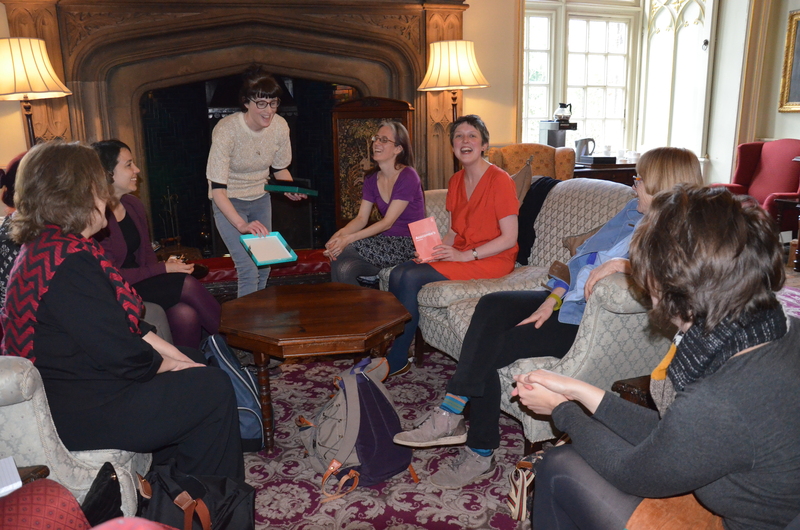 On 20th April 2016 we hosted a Women in Philosophy cocoa party in the Castle common room at Durham University with special guests Maria Baghramian (University College Dublin) and Dawn Wilson (Hull University). Dawn, who took the below photo, spoke briefly about her recent research into the 20th century logician Susan Stebbing. We also informally launched Rachael Wiseman’s new book The Routledge Philosophy Companion to Anscombe’s Intention. Our next In Parenthesis cocoa party will take place in Autumn.